As one of the world’s wealthiest investors knows, success isn’t only about making the right moves—it’s also about avoiding the wrong ones. Few people living today have a name as synonymous with success as legendary investor Warren Buffett. Famous for making near-perfect bets on businesses since the 1940s, Buffett is a seemingly permanent presence on lists of the planet’s richest people, as well as one of the most charitable businesspeople in modern history. While many credit the multi-billionaire’s success to his apparently in-built ability for betting big on winners, Buffett attributes many of his achievements to a lifelong love of reading. According to his own estimates, Buffett spends up to 80 percent of his waking hours buried in a book. 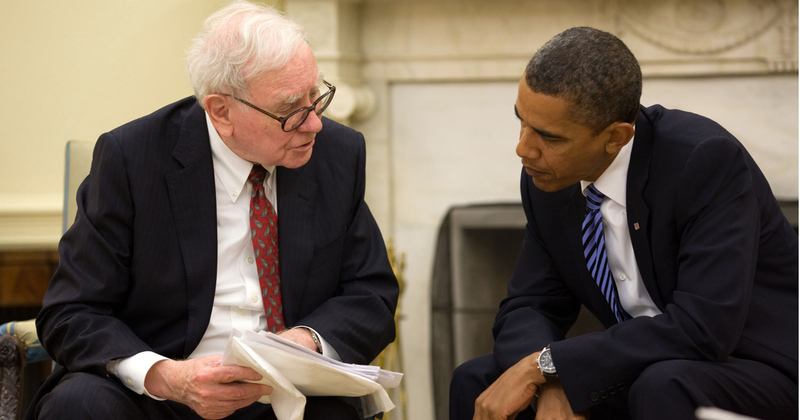 Yet even more astonishing, given his success and voracious reading habits, is that Buffett’s favorite book focuses on the greed, deceit, and the monumental failure of one of the world’s biggest companies. In lots of interviews, Warren Buffett reveals that his favorite book is The Smartest Guys in the Room, in which author Bethany McLean details the rise — and demise — of energy giant Enron, offering valuable insights into the events leading up to largest bankruptcy case in U.S. history. The team behind the Blinkist app — an app that gives you the key learnings from the best nonfiction books in text and audio — have put together five actionable takeaways from The Smartest Guy in The Room, a book that Warren Buffett himself considers a must-read for anyone looking to excel in business. Although Enron’s ultimate collapse didn’t occur until 2001, the company nearly foundered in 1987, a mere 2 years after incorporating. In both cases, the cause was rooted in unethical business practices perpetrated by Ken Lay, the company’s CEO. Actionable Takeaway: To guarantee prosperity, keep your business culture clean. When Enron hired a visionary executive named Jeffrey Skilling in 1990, the company was counting on him to increase revenue. And while Skilling’s savviness with accounting temporarily proved profitable, in the end it all turned out to be smoke and mirrors. Actionable Takeaway: Hire based on experience, not solely intelligence. In the mid-90s, Enron’s charismatic executive Rebecca Marks became the brand’s public-facing beacon of positivity. And while her charm and charisma secured many overseas deals for the company, Enron ultimately failed to deliver on most of what she promised. Actionable Takeaway: In the world of investing, always value on substance over style. Despite the fact many Wall Street investors sensed Enron owed a staggering debt, many so-called experts turned a blind eye to the business’s shortcoming and trusted its favorable financial forecasts. Actionable Takeaway: Refrain from blindly trusting analysts. Jeff Skilling’s obsession with the company’s stock price only added fuel to the fire that ultimately reduced Enron to rubbles. Monitoring a business’s financial picture is necessary, but devoting all of your attention to it can be detrimental. Actionable Takeaway: Don’t lose sight of the forest for the trees. So there you have it! These are the 5 main takeaways from Warren Buffett’s favorite books. If you want to get similar takeaways from world-famous, life-changing books in 15 minutes or fewer, download the Blinkist app. You can get bite-sized versions of 2000+ nonfiction books by authors such as Tony Robbins, Seth Godin, Tim Ferriss, Arianna Huffington, and Naomi Klein. The app also has an audio feature so you can listen to nonfiction book notes on-the-go. Download the app to start reading in smarter, better, faster way.